Valentine’s Day is right around the corner, which means locking down plans. If you were thinking of going out for a very cut and dry dinner and a movie, think again. 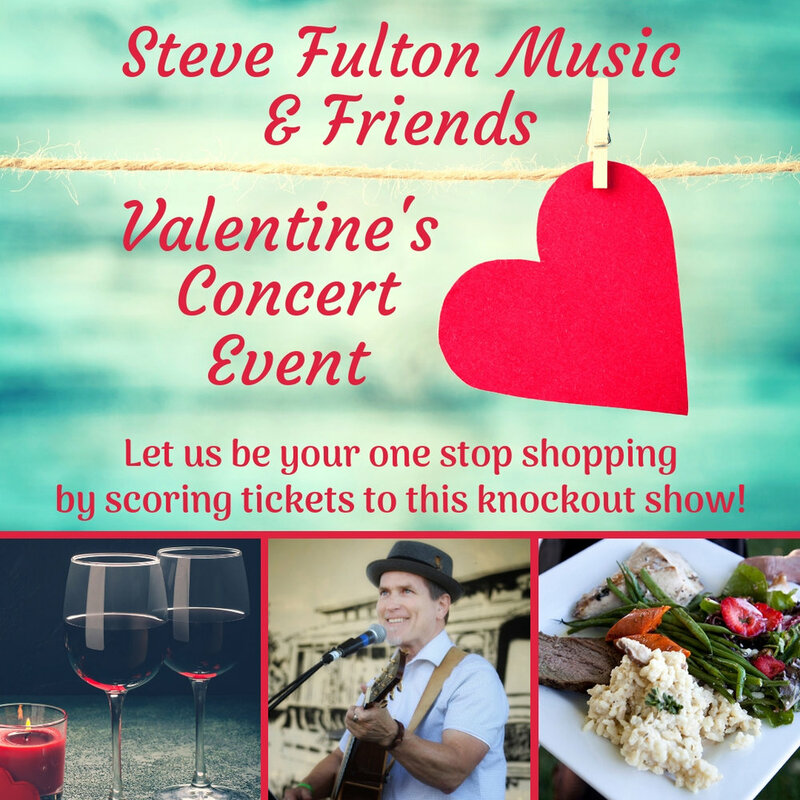 Join Steve Fulton Music and a bunch of his super talented friends for a night of dinner, wine AND music. Let us be your one stop shopping by scoring tickets to this KNOCKOUT Valentine’s Day event! Grab tickets here! Catered dinner by Open Table Boise (see menu below). 1 bottle of Cinder Wines per table (choice of white or red). 1 amazing night of music. There will be 40 tables for 2 in the room all with great views of the show!